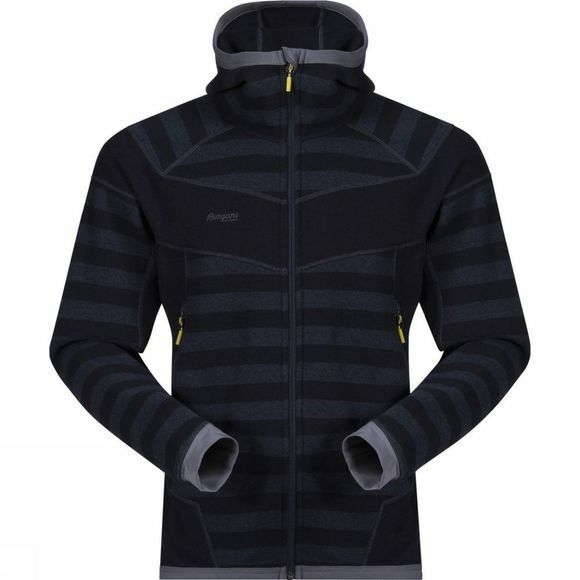 The new Hollvin Wool Jacket by Bergans is ideal as interlayer warm on cold days and also solo comes into its own, thanks to the stylish stripe look. The material feels wonderfull soft and wears very comfortably. The extended back, the hood and the thumb holes give the jacket a technical appearance and provide also for that warm the body good, because wind and cold don't come true. Functional material breathes well, dries quickly and is also still hot even if it is damp.